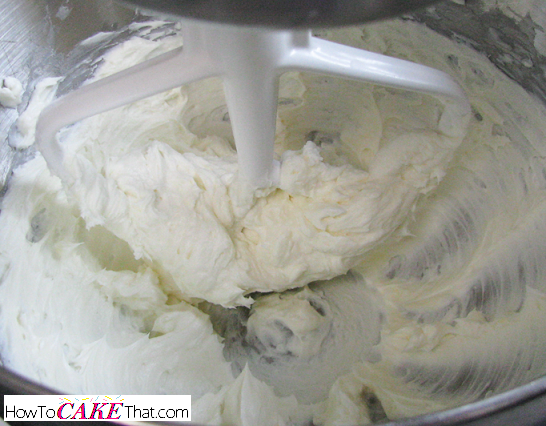 Look at that perfect dollop of fluffy cream cheese frosting goodness!! After many tries, I've finally developed a cream cheese frosting recipe that is light, fluffy, and is stable enough for piping without being too sweet! 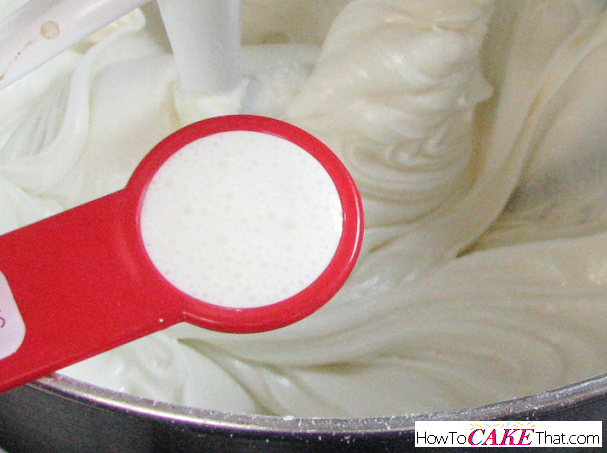 Many of the recipes I've tried for sturdy cream cheese frosting gained their stability from a ton of powdered sugar, and in the overly sweet frosting, the cream cheese flavor was lost. So, I came up with a different ingredient to use for stability, and what I ended up with was a smooth, not too sweet cream cheese frosting that has a real cream cheese flavor! It's perfect!!! 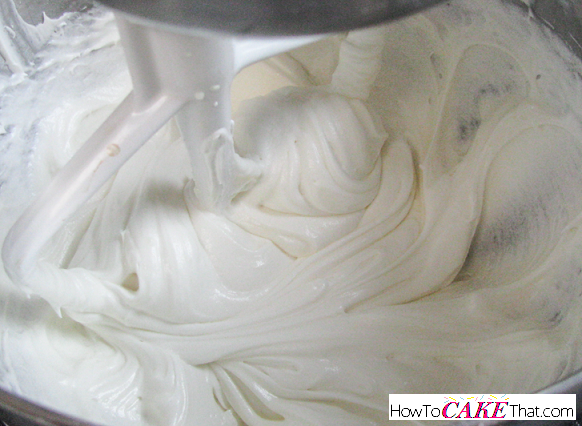 Note: Keep in mind that though this cream cheese frosting can be piped, it is not as stiff as buttercream and the edges will soften a bit and will have a whipped cream-like appearance. 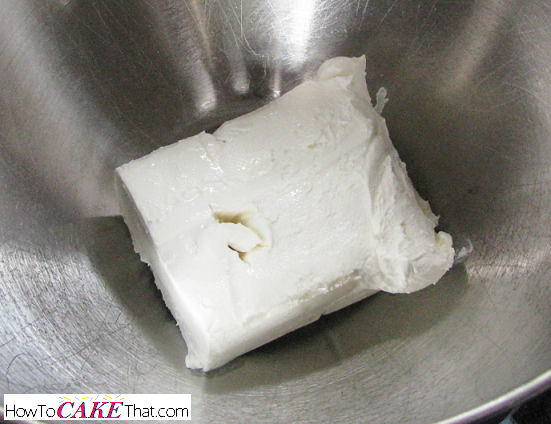 To begin this recipe, add 5 ounces of regular Philadelphia Cream Cheese (softened at room temperature) to a mixing bowl. 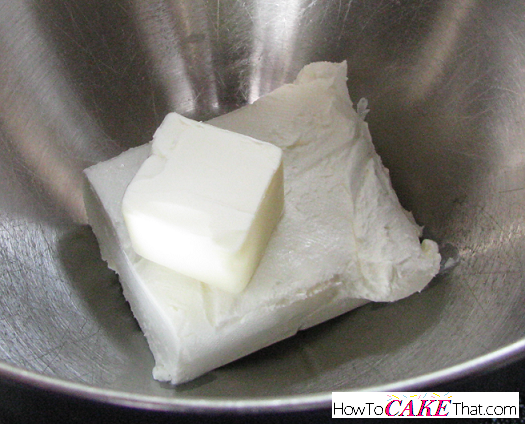 Next, add 1 ounce (2 tablespoons) of unsalted butter to the mixing bowl. Next, add 2 ounces of High Ratio Shortening. Blend ingredients together with a paddle attachment (if available) or hand mixer on low speed until ingredients are well combined. 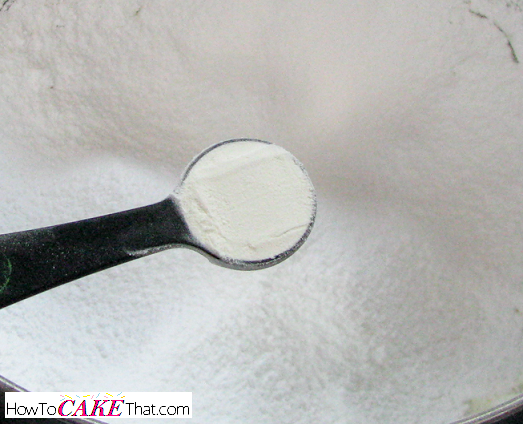 Next, sift 8 ounces of powdered sugar into the mixing bowl. 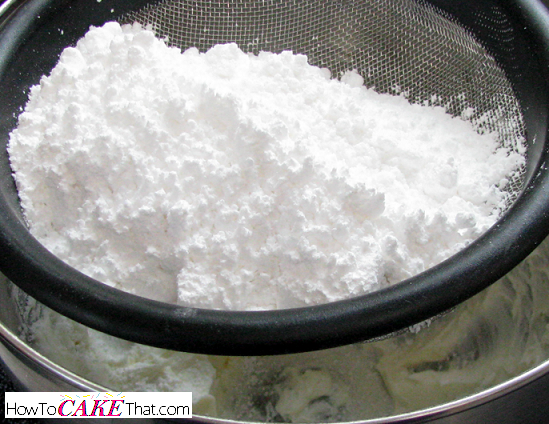 Add 1 tablespoon, plus 1 teaspoon of meringue powder to the mixing bowl. Blend all ingredients together on low speed until just combined. 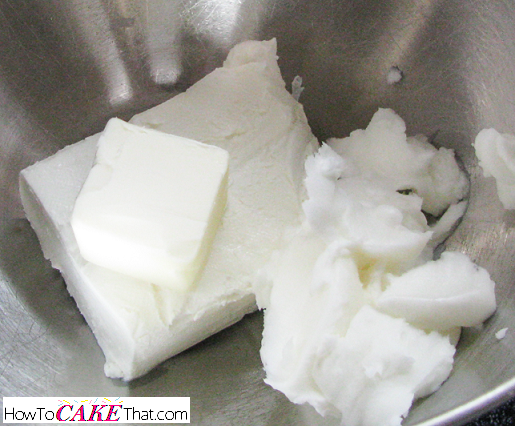 Next, add 2 teaspoons of heavy cream. 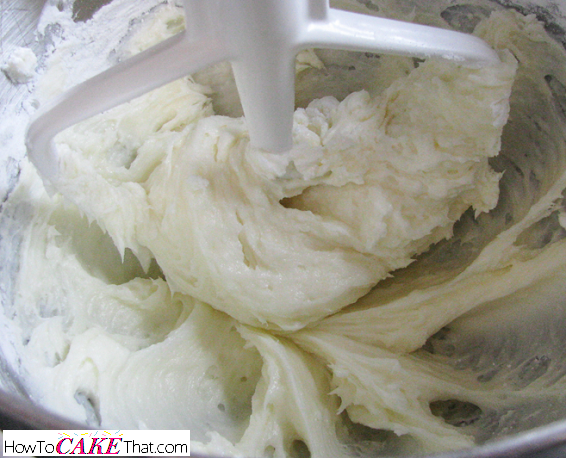 Mix ingredients on medium-high speed until frosting is light and fluffy and ribbons in frosting hold their shape when beater is turned off, about 3 to 4 minutes. 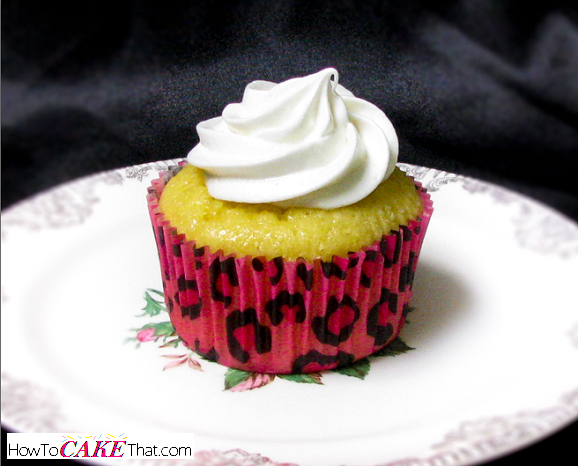 I'm not even that crazy about cream cheese frosting, but this one is SO GOOD!! 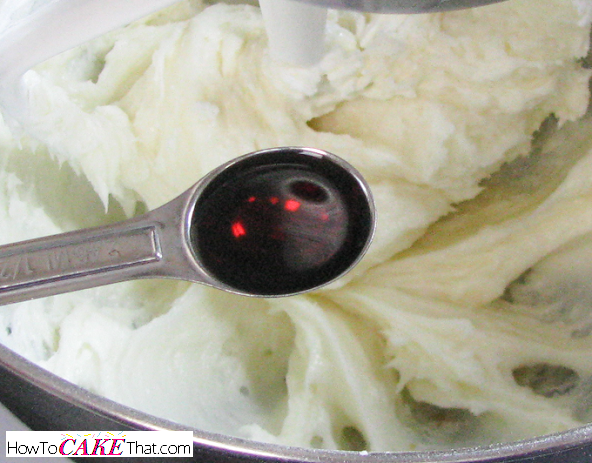 Cream cheese frosting is perishable, so be sure to keep it refrigerated, or it can be frozen for up to 2 months. Also, if for some reason the frosting didn't turn out stiff enough for piping, just add a little more meringue powder (try 1 teaspoon at a time) and whip again on medium-high (or even high speed) for another minute or two until desired stiffness is reached. I hope you have enjoyed this tutorial! God bless!